Despite having known and observed numerous INTJs over the course of my life, I’m still taken aback, and at times find myself a bit envious of, the things they’re willing to say and the unflinching manner in which they say them. As an INTP, it’s taken me years to develop the courage and ability to be more direct and forthright in my communication. The INTJ, however, seems to require no training or practice in this respect. Whether we call it candor or brutal honesty, INTJs have it in spades. 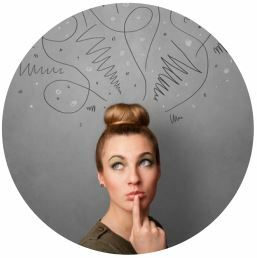 I realize it may seem a bit cliché to characterize INTJs as blunt in their communication style, but I think we can benefit from unpacking this observation and comparing it with what we know about INFJ, INTP and INFP communication styles. This will be our objective for this post. Both INTJs and INFJs use Introverted Intuition (Ni) as their dominant function. And because other personality functions (e.g., Se, Si, Ne) are far more common among the general population, INJs tend to see the world quite differently than other types. Their Ni perceptions—which to the INJ eye seem incontrovertibly true—often go unperceived or simply ignored by others. Others’ disinterest or inability to grasp their insights is a perpetual source of bewilderment and frustration for INJs. Believing they possess vital insights that could change the world for the better, INJs desperately want the truth to be revealed. In many respects, ensuring that the truth is known—that people’s perceptions cohere with objective reality—is a moral issue for INJs. As long as spurious claims and misperceptions abound, the world, from the INJ’s vantage point, can never be made right, fair, or just. With this background in mind, we can better understand what drives INJ communication. For both the INTJ and INFJ, truth (N) matters more than anything else. Both of these types are animated by a sense of conviction and knowingness which permeates their J presentation. While others may see them as stubborn or opinionated, few will doubt that INJs believe what they say (see Elaine’s post, Know Your Judger, for more on this). Where INTJs and INFJs part ways, of course, is their auxiliary function, as INTJs employ Extraverted Thinking (Te) and INFJs Extraverted Feeling (Fe). When we factor these functions into our analysis, we can see why INTJs may be even more forthright in their assertions than INFJs. Generally speaking, Te types (i.e., TJs) devote little energy to fretting about whether their J statements are hurting other people’s feelings. As long as they are stating the truth, and especially if undeniable facts are involved, they exhibit little hesitation. This is why TJs often occupy executive management positions, in which they make operational decisions (Te) without getting bogged down in emotional concerns. We can also find plenty of TJs among physicians accused of having poor bedside manner, as hyperbolized in the television character, Dr. House (INTJ). All of this is not to say that TJs are uncaring or emotionless; they simply don’t consider it necessary to use “kid gloves” when communicating what they see as the straight truth. While INFJs also place truth high on their priority list, their auxiliary Fe compels them to also function as people-pleasers and harmonizers. Striving to ensure that everyone is happy and properly cared for, they are more selective than INTJs in issuing their J assertions. The INFJ walks a fine line between revealing truth and navigating the labyrinth of others’ emotions and ego defenses. They routinely wrestle with the question of whether it’s worth professing truth when it’s likely to fall on deaf ears or incite ego defenses. Unfortunately, they often end up feeling guilty either way, for either failing to reveal the truth or for hurting or offending someone with the truth. I’ve already written about INTP and INFP communication generally, as well as how these types behave and communicate in their relationships. Due to the fact that INPs’ extraverted judging function is inferior (Te for INFPs and Fe for INTPs), they are less comfortable proffering direct assertions and directives than their NJ counterparts are. This discomfort is worsened by their use of Extraverted Intuition (Ne), which commonly causes INPs to doubt themselves and their conclusions. I’ve noticed that ISPs, who use the Se-Ni function pair (which NJs also use, only in reverse order) rather than Ne-Si, seem to have an easier time than INPs being direct and forthright with their judgments. INPs also aim to avoid stirring up conflict or inner unrest in their communication. For INTPs, the reason for this is fairly clear: to steer clear of negative emotions whenever possible. Moreover, as Fe users, INTPs are concerned with social harmony and the emotional comfort levels of others. This inspires what I have dubbed their “Nice Guy / Gal” persona, in which they aim to be likable and to avoid offending others. Granted, INTPs also enjoy the role of provocateur, but they typically do so selectively and often playfully. In employing Introverted Feeling (Fi) rather than Fe, the INFP is less focused on managing everyone else’s feelings in the manner of the INFJ. Unless assuming a direct caretaker role, Fi is primarily oriented inwardly, surveying inner emotional landscapes, which is why INFPs can seem more outwardly cool or aloof than INFJs. Although INFPs are not overly concerned with social harmony for its own sake, they do strive to maintain inner peace and harmony (often testing as Enneagram type 9), which can be easily disrupted by external conflict. 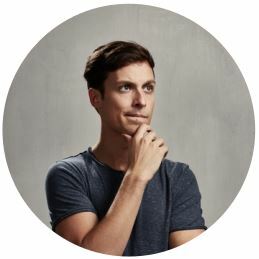 Consequently, INFPs resemble INTPs in their propensity to avoid making strong assertions or judgments that have the potential to incite conflict. With that said, INPs’ growth process does involve improving their ability to be more direct and assertive in their communication style. Since this requires the services of their inferior function, it represents a lifelong challenge for these types. After all, it always feels easier, especially in the short-term, for INPs to avoid potential conflict or emotional disruption (e.g., let the phone call go to voicemail) than to face things head on. INPs often turn to yoga, meditation, or other self-help practices to help them manage their stress and remain inwardly balanced. They sense that consistently maintaining inner order will allow them to better handle external stressors, including the stress that comes from candidly communicating with others. 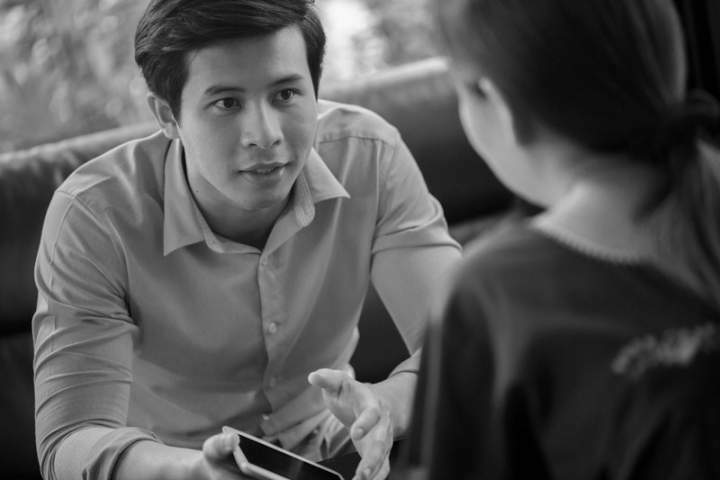 While such self-regulation strategies can certainly prove helpful, INPs must also find ways to muster the will, courage, and energy to communicate in the first place. Without a conscious focus on communication, INPs are inclined to manage everything internally, which doesn’t always equate to progress in the interpersonal sphere. They may be right with themselves, but have they really communicated or made things right with others? This process is reversed in EJ types, who are natural communicators—constantly thinking or emoting aloud—but often struggle to find the will or resolve to commune and make peace with themselves. This INTJ has settled on ‘forthright’ to describe their communication style. As an INFJ, I’ve had to spend some time learning how to communicate more effectively, especially when it comes to personal feelings and beliefs (which I do often mistake as being “the truth”). I definitely don’t want to escalate situations into neddlessly hurtful territory when it comes to relationships with people I care very much about, but I also understand how important it is to me to not back down for the sake of maintaining harmony, as this one way resentment and animosity often breed. Excellent post and accurate to everything I’ve seen so far. ……YES. Wanting to go deeper with a person in sharing insights, personal perspectives and realities to find a common ground with which we can agree and unite to solve humanity’s problems one soul at a time, can be a daunting task as we realize some people are not willing (or able) to be honest or open with their inner motivations. I.e. A woman who has not found or grown healthy self-concept could want the attention of men (or a certain person) at any cost. Trying to talk to her about boundaries or how her behavior might attract someone who will misuse her, will go unheard– her “need” for acceptance or validation is her reality and your cautions will either cause her to not trust you with her thoughts or feel misunderstood /unsupported. So we as INFJs are CONSTANTLY walking that tightrope of supporting others right where they are while simultaneously being sensitive to know where they are resistant to growth. ……I really liked hearing this defined so clearly, and agree with it. That is what keeps us motivated to pursue people, we are constantly surveying for others who we might be able to help harmonize these two in some way, and therefore be more balanced themselves (I.e. Taking less energy from others and being able to give more). I love how you articulate these nuanced truths about different human experience. I want to point out that we are functioning in a communicative age that makes understanding on an individual level seem like a powerful connection. The most powerful connection is when understanding becomes functional at the societal level and affects systems and culture. It’s important we take this understanding out into the world. The INFJ desire for harmony isn’t just a personality trait, the INTPs desire for social happiness isn’t just a personality trait – all these diverse sensibilities we have are meant to strengthen the organism that is the human society. We need to love ourselves, as a precursor to contributing to our world as ourselves. I’m having trouble differentiating the outward difference in communication styles between INFJ’s and INFP’s. I read this, and it made me wonder in what situations DO INFJ’s communicate in a forthright manner stating the truth as they see it? If they are guarding against having the truth fall on deaf ears or incite ego defenses, and trying to be harmonizers then aren’t they still coming across as nice guys/ girls as well. Is it just a matter from the place the person is coming from? Avoiding conflict for the sake of other’s peace, or one’s own peace? I guess I feel like I can equally relate to the descriptions of both types communication styles. I guess one thing I wonder is, when hearing the statement that “INFP’s are not overly concerned with social harmony for it’s own sake”, yet still try to avoid loosing inner harmony or face external conflict… Would this maybe look like, they just stay silent in general in order to maintain their peace, but also communicate in a highly emotional manner (Fi oddly being extroverted) when they pass the threshold where they feel convicted to respond in order to communicate their values? While maybe the INFJ’s are more generally honed in communicating with tact because they are focusing on how the other will receive it (Fe more comfortable and practiced in dealing outwardly with other’s emotions…but not to the same degree as a dominant lead Fe extroverted type)? So maybe as I’m thinking this through it makes me wonder what happens, and what it looks like when an introverted type is trying to verbally communicate their dominant but introverted function? How does that come across since it’s sort of like a fish out of water? Does it behave more like an inferior function? In the extroverted world and in verbal as opposed to written communication, would INFP’s actually being on safer ground talking about Ne subjects than Fi, and INFJ’s be more comfortable relating on Fe things as opposed to trying to speak with eloquence to their Ni insights? I share Rebecca’s thoughts and questions. 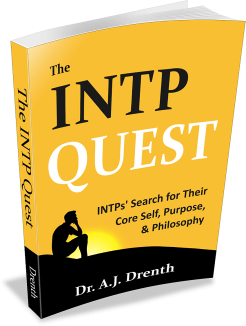 An INFP may have spent hour upon introverted hour contemplating a given idea, extensively pursuing branching possibilities, and organizing the insights within a coherent worldview. Sometime later the INFP might be engaged in a debate relating to that idea. This is where the train so often finds itself perpendicular to the rails . . .
For those of you who are not INFP, please realize that any outward frustration you perceive is most likely the tip of an introverted iceberg. The points of contention were likely examined in a manner that the INFP finds impossible to replicate verbally. Making things worse is aux Ne which is scattershot when a sniper’s precision is required. What had been painstakingly considered and worked out is now a cluttered mess. Immediately sensing this (and probably having anticipated it with dread), the INFP remembers why he swore off talking politics in the first place, chastises himself for getting entangled yet again, and reaffirms the quest for blessed solitude and peace. Tertiary Si is beckoning for full retreat to safer and more comfy quarters. Inferior Te slinks back off into the shadow of shame and inefficacy. I recall a fairly explicit account of this dynamic in Jon Krakauer’s ‘Into Thin Air’. He shares his frustration for failing to articulate a political position in which his internal value system was certain of what was accurate, correct, just, and proper. This was revealed to be a recurring theme for him ~ and maybe it’s so for all INFPs. I am certainly someone who values truth above all things and as an INTJ I have often been very direct or indeed brutal in my honesty. And I often don’t quite understand many people’s inability to divorce their feelings from a discussion on facts or a debate over what are the facts, etc, to a degree where it often actually ends up upsetting me (usually on the inside and shared with no one), since I end up seeming like an alien among humans or at least I end up feeling that way, alot. However I will say, I have learned and developed to be better and more attuned to people’s feelings, so much so that I have multiplied the number of people in my life I am close to and who share their troubles with me. Leaving me in the position of navigating complicated emotional landscapes, often not knowing how. But I seem to be good at it, at least that’s the feedback I get a lot, that I’m such a great listener, that I always know what to say, etc. I believe that stems from a few root things, one is the influence of my ENFJ mother, who definitely shaped me to be more emotionally literate than perhaps most INTJ’s default. Another thing is me understanding the value of trusting others, sharing my feelings to an incredible benefit to myself and by doing that others do the same to me and I feel only fair I reciprocate. The third is using my natural abilities of intuition and analysis to perspective shift and to emphatize therefore, so figuring out how people tick, putting myself in their position (as them not as myself) and seeing the strategies and patterns that direct their life and behaviours. All of this has been very valuable to me to learn, it’s made me happier, more well adapted, more emotionally rich and rich in multiple friendships as well. I am still honest and direct in my assertions, but I tend to pick and choose more who and when and how I do it, plus, because I have shared with people, they actually know me and they know why I think and how I think the way I do, to a degree where they don’t take it personally necessarily or at least know to engage me on a rational level about it and/or to inform me of their feelings about calmly so that I can amend or explain, etc. as an INTJ, I can only confirm. I can very often tell if a situation is “sustainable” (what you call a success) or not. I really appreciated your comment. My communication style is horrible. I really really need to tune it a little bit down. On the other hand I appreciate direct communication even if I might not agree or if others could find it harsh. I respect people who tell their opinion without beating around the bush. That’s very appreciated “usable data”. “INPs are inclined to manage everything internally, which doesn’t always equate to progress in the interpersonal sphere. They may be right with themselves, but have they really communicated or made things right with others? 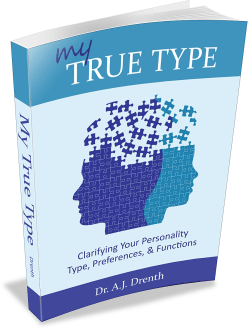 EJ types, who are natural communicators—constantly thinking or emoting aloud—but often struggle to find the will or resolve to commune and make peace with themselves.” As an ENTJ who has had two long-term relationships with INTP’s: Indeed!! And this is the eternal dilemma. 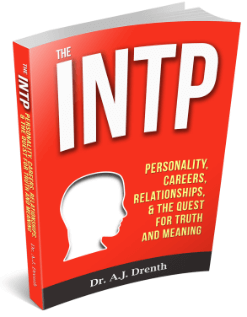 My experience with INTP’s is that they do mean what they say, however, they often don’t say what they mean-they say nothing. This can lead others to assume a level of truth-telling similar to the NTJ, forgetting that the INTP truth-telling is often (infuriatingly) internal. Only. All of this is not to distract from the orginal thought pertaining to my potential benefit from making peace with myself. it’s so good to hear somebody else who can also do this .I’ve only met a couple in my life .it’s a hard thing to watch other people fail when you know you’re right and if they listen they could succeed. Sometimes I just get frustrated. I see so much they don’t see .and yet when I try to tell people good input they don’t listen. but I’m a great researcher .if you want me to find the info I can find it. if you want me to pull the disparity facts together and make an elegant solution I can do it. just not many people need that talent I guess. So I make online bibliographic databases for fun .find rare books, put together scientific information for my own enjoyment. When I was in college I wants explain to a career counselor what I can do and asked what kind of career might be she just looked at me puzzled like,” say what?”. I’m just a housewife. The inner/outer contrast in how my wife and I experience and display feelings and emotion is no small matter in our marriage and in my life. Just last weekend I had an intensely painful experience that perfectly revolves around this personality pivot point in our marriage relationship, which is only one in a long list over the course of our 17 years together. I’m an INTJ who in a health care profession for 28 years, so have developed cognitive empathy and much more tact in communication than I had in my younger years. However, I still use Te in a way that says, “This is going on. These are your options. I recommend, this option,” and I don’t waver much on my recommendations. So, I suppose that is rather blunt, though the delivery is not. Having been in a relationship with INFJ for two years, any myself being an INFP, i say this is spot on. Good article, and thanks for the advice! I wonder how many INXPs wrote lengthy, articulate responses to this and then deleted them (as I just did).